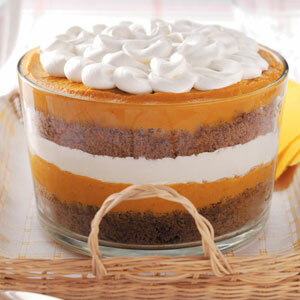 I have made this, Pumpkin Gingerbread Trifle, for many Thanksgiving events and it has been a hit every time. Even better it’s very easy to make. Find the complete recipe on Taste of Home.